Osteo Science Foundation is collaborating with New York State Society of Oral and Maxillofacial Surgeons (NYSSOMS) on their upcoming Annual Meeting in New York City at the Weill Cornell Medical College, May 19-20, 2018. Changing Treatment Paradigms via Advances in Regenerative Materials and Implant Design. Bone augmentation is often required to place an adequate number of dental implants in ideal positions for prosthetic support. In addition to improving biomechanics, bone enhancement can improve esthetic outcomes. Inherent disadvantages of bone grafting techniques include increased morbidity, surgical time, costs and treatment length. As such, a trend has developed towards alternative augmentation procedures and more minimally invasive approaches. Dr. Misch’s presentation looks at methods to minimize the morbidity of bone grafting and guide clinicians on implant rehabilitation with grafting and non-grafting approaches. 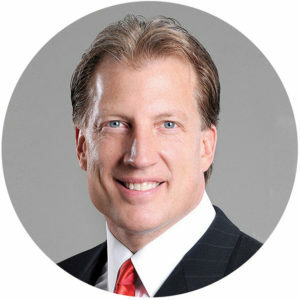 Dr. Craig Misch received postgraduate certificates in prosthodontics and oral implantology and a Master of Dental Science from the University of Pittsburgh. He also completed specialty training in oral and maxillofacial surgery in Pittsburgh and is board certified by the American Board of Oral and Maxillofacial Surgery. Dr. Misch is a Clinical Associate Professor at the University of Florida and University of Alabama in the departments of periodontics and prosthodontics. He practices as a dual specialist in Sarasota, Florida. Dr. Misch is also the Chair of Osteo Science Foundation's Education Committee. In a collaborative learning environment, OMSNIC’s team of tandem speakers integrates case examples with nonclinical issues commonly seen in oral and maxillofacial surgery claims. The four-hour presentation high-lights risk management techniques that can help improve patient care and reduce the risk of claims or make those reported more defensible. Case examples involving implants, wrong tooth extractions, failure to diagnose, medication issues and anesthesia complications will be included. All attendees will receive 4 CE credits and OMSNIC insureds will be eligible for a 5% premium credit for three policy periods.